MOSCOW, September 15. /TASS/. Civilians in the Syrian city of Raqqa controlled by the US-backed Syrian Democratic Forces are in a dire humanitarian situation and have no safe drinking water, so cases of cholera have already been registered, Lieutenant General Vladimir Savchenko, the chief of the Russian center for reconciliation of conflicting sides in Syria, said on Saturday. "The Center for Reconciliation of Conflicting Sides continues receiving reports about a difficult humanitarian situation in the city of Raqqa. Local residents, who have been forcibly returned from the camps for temporarily displaced persons, have no access to pure drinking water and suffer deeply from the shortage of food and daily necessities," he said. "Dysentery is raging in the city. There have been cases of cholera," he added. According to Savchenko, the two-day-long rallies and protests of Raqqa residents are suppressed by the Syrian Democratic Forces, which are supported by the United States. "In Raqqa and nearby populated localities, militants of the Syrian Democratic Forces detained several dozens of residents. Out of those, at least 16 people are candidates at local elections in the Syrian Arab Republic scheduled for October 10," the general said. Despite the ceasefire, violations by illegal armed groups, operating in the Idlib de-escalation zone, are not decreasing, he said. 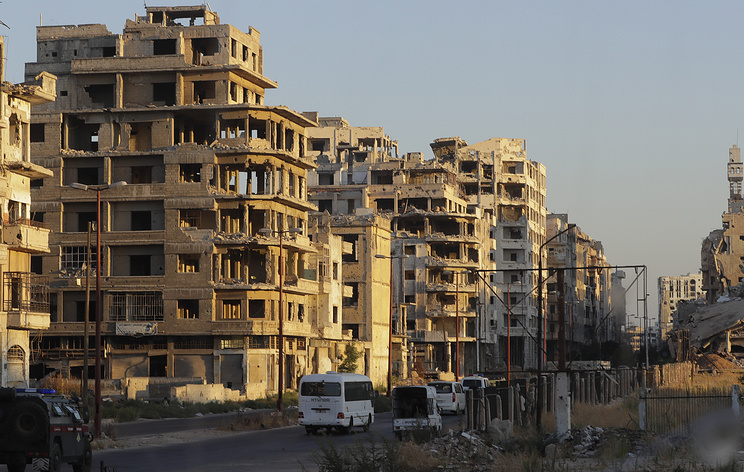 The incidents were reported in the provinces of Latakia and Hama and in the city of Aleppo. Three cases of shelling by militants of unidentified armed group were registered in the southwestern suburb of Tadef in the Aleppo province from the positions of the Free Syrian Army in Al-Bab controlled by pro-Turkish units. According to the reports coming to the reconciliation center from Idlib residents, militants of illegal armed groups are preparing new provocations with toxic agents, so the Syrian government could be accused afterwards of the use of chemical weapons against civilians. "Militants of the Hay'at Tahrir al-Sham group (branch of the Jabhat al-Nusra terrorist group outlawed in Russia) have already delivered several containers with chlorine to the settlement of Basankul in the Idlib province," Savchenko said.